Welcome to my latest Weekend Reading edition, some of my favourite articles from the week that was. I profiled this financially free Aussie who retired at age 50. I shared how I built my dividend portfolio…and how you can consider building your own too. 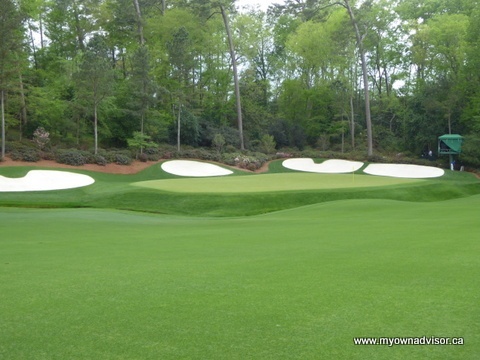 My inspiration, my recent visit to the 13th at Augusta National Golf Club. 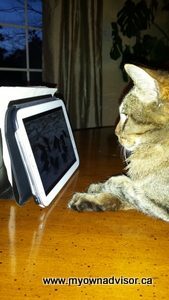 Thanks for being a fan of this site and helping it grow to almost 60,000 pageviews per month! Friend Barry Choi said to avoid these tax mistakes if you’re a freelancer. Mr. 1500 is now financially free. His goal was to build a debt-free portfolio of $1,000,000 by February 2017. He’s done very well and is now done with formal work for good. Did you know you could earn about $50,000 per year in dividends, tax free? There’s a small catch but it’s true thanks to the Dividend Tax Credit. Consider for Ontario, the tax rate (combined federal/Ontario) on eligible Canadian dividends in 2016 was actually minus 6.86% on the first $41,536 of such income. Traveller abroad The Dividend Guy highlighted a few popular dividend stocks not to hold. Family Money Plan shared the simplest way to control you credit card spending. Fellow dividend investor Tawcan provided a detailed TFSA guide. Financial Samurai provided a housing expense guideline for realizing financial independence. Who owns what across the broad Canadian life insurance industry? Now you know. 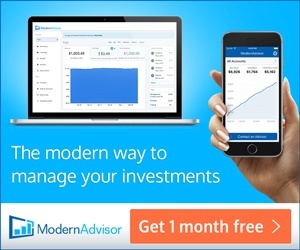 A reminder that ModernAdvisor allows you to trial $1,000 of their own money to invest with them. Sure Dividend compared a couple of high-yielding and profitable REITs. Here are some reasons to file a tax return, even if you don’t have to pay taxes. Dividend Earner believes your RRSP should not be your only retirement plan. Retire Happy told us to not let capital gains taxes dominate our investing decisions. From the oldie but goodie file…do you need a million dollar portfolio to retire well? Of course you do. 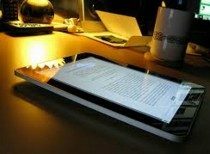 14 Responses to "Weekend Reading – Done with work, $50k tax free, spending controls and #money stuff"
Thanks so much for the mention! I hope your 2017 so far is spectacular! Nice article regarding tax on dividends: “According to this site at TaxTips.ca, the tax rate (combined federal/Ontario) on eligible Canadian dividends in 2016 was actually minus 6.86 per cent on the first $41,536 of such income. Between $41,536 and $45,282 the tax rate is minus 1.2 per cent. Waters says that merely shows the power of the dividend tax credit at lower tax rates exceeds the lowest marginal tax rates. 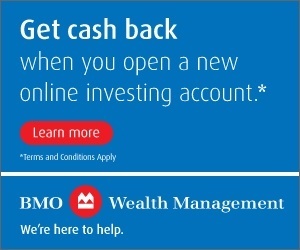 Having large amounts in RRSP\RRIF causes one to have minimum withdrawals of $30k and up. But its still better to have dividend income than capital gains. At low tax rates…totally agree, dividends from Canadian stocks are very tax efficient and more so than capital gains. Especially when the government is going to increase taxes on capital gains eventually! Thanks for the mention Mark. It’s getting nicer and nicer here in Vancouver too. — Well done. A nice achievement to compliment your life’s successes. — The simplest way to control credit card spending is to not use a credit card. I’m beginning to believe that addiction is the primary reason why this solution is never considered amongst the PF crowd — “If I only use it a little bit I’ll be ok!”. The author admits cold turkey is the best action but then justifies continuing use because of the perceived “reward”. Replace ‘credit card spending’ with ‘cocaine habit’ and see how that goes. Again, the justifications continue because of ignorance; the user does not (doesn’t want to) understand the entire spectrum of the credit card cycle and its full effects. — Yet another PF blogger who views work as a negative (e.g. misery, prison, etc. ); I view that mindset as a negative. My Jiffy marker is getting a workout this year. — A fundamental difference between him and the Aussie. But he writes, “…attained early retirement by abandoning the ridiculous, debt intensive, consumerist lifestyle that most people seem to embrace…”, one can adopt that lifestyle without retiring. And he still views work life as a negative — “the Matrix”. Got news for all ya’ FIRE people out there…everyone has a boss, even super rich and powerful! Going deeper, one can see, generally, we all desire what we don’t have — the poor desire money, those with money desire time, but the truly wealthy desire neither. A couple anecdotes: an extended family member is the sole owner of a 100+ location nation-wide business which he’s been running for the last ten years. He takes home perhaps $5 million per year. He could have retired early when he was 35, but didn’t. Why not? Another family member worked for the same 150+ location nation-wide business for 40 years, retiring at the classic age of 65. * He was one of the initial instigators and has made ungodly amounts of money (it’s a $500 million/year company). He also could have retired very well off many decades ago, but didn’t. Why not? Why do some financially “independent” people choose not to retire early (or at all) yet some people intensely seek to be FI so they can RE? I can guaranteed both these men have much larger headaches and stresses to deal with than having to show up on time every day and maybe having a crappy boss to deal with. I can also guarantee both these men have much different value systems and mindsets than the Average FIRE Joe. Why isn’t Elon Musk lying on some beach in Thailand? Why isn’t Bezos just chillin’ and flying drones around the park? Why aren’t the Walton foursome hitting the golf course every day? Don’t kid yourself, your job isn’t the problem. To end, Mr. 1500 — “Does thunder have legs?”…I’m going to have to steal this from your kids and use it somewhere. Thanks. Yes, oligopolies in Canada at work! Yes but you’re right about the entire PF crowd being rather credit card happy. I don’t really agree with it. I know a number of bloggers consistently pump credit cards but I don’t because I don’t believe in that. I have nothing wrong with some credit card use, responsible use of course, but the idea that you’re consistently promoting and capitalizing on the very people that cannot afford to use a credit card in the first place isn’t very good. “My Jiffy marker is getting a workout this year.” LOL. It seems Mr. 1500 and Get FIRE’d asap took different paths but largely achieved the same outcome. Interesting story about the nation-wide business…I probably wouldn’t sell either if I loved what I was doing. Question: Why do some financially “independent” people choose not to retire early (or at all) yet some people intensely seek to be FI so they can RE? I suspect it has to do with everything with working for something vs. working towards something. The former is always far more rewarding. thx for the mention Mark! I wish you luck with your Senators 😉 Karlson is amazing! I can now follow 2 teams now that the Habs have traded Subban to Nashville 😉 hahaha! Welcome Mike. Hope all is well. Nashville is playing very well!